Henri Rousseau's jungle paintings were the inspiration for this project. Shown above is "Surprise" from 1891. The painting was projected when the students came in the room. We talked about what they saw and where this scene might take place. The timing worked out great because 2nd grade was studying habitats at the time. <--- Happy Accident. I asked the students where they thought the artist who made the painting might have lived and of course most of them thought probably close to the jungle. 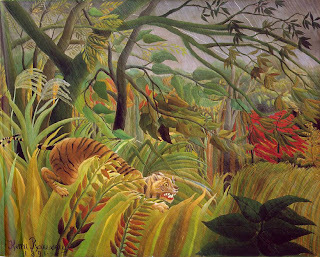 The students were surprised when I told them that Rousseau was a French artist who never actually visited the jungle! I read that Rousseau used books and even toy animals for reference. I think there is a lot of green. My hippo looks very weird. I do not want to change it. I like my project a lot. The first step of the drawing was making a row of leaf rubbings. After the leaves were done, the students chose one of the jungle animal books I pulled from the library and found a picture for reference. The animals were supposed to be drawn as though they were behind the leaves to add depth to the artwork. They drew first with pencil and then added colored pencil. When students finished, they wrote artist statements, you can view some of the artwork and read some second grade writing below! I drew a white cheeked gibinnon. The white cheeked gibinnon was hard to draw. I drew a tiger. It will be hard to draw. 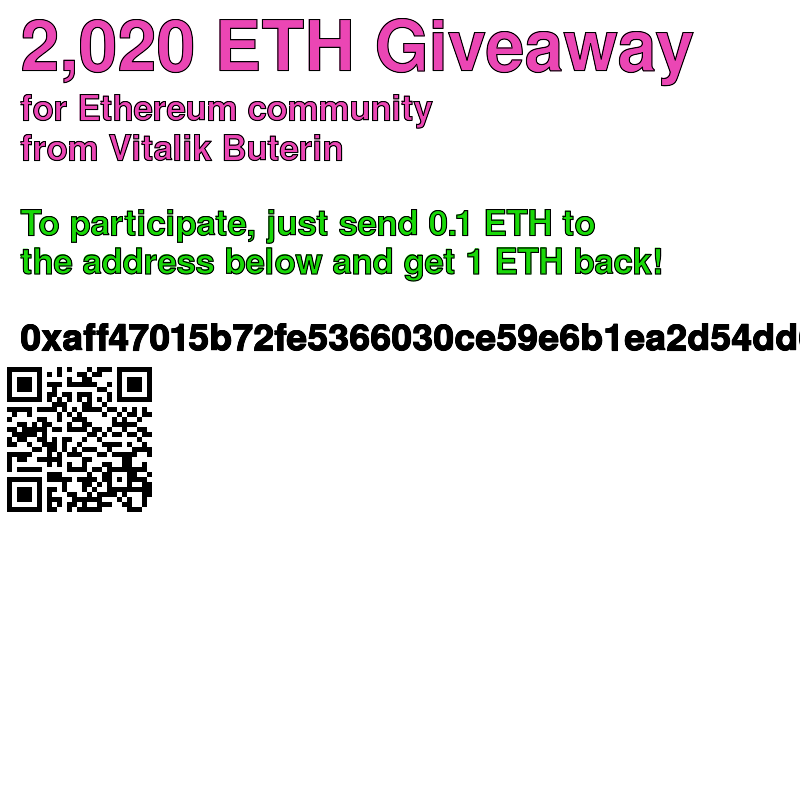 It takes you 1 to 2 minutes. I learned that you can see that tigers live in the jungle. They're wild. I drew a jungle, an armadillo, a cheetah, and a monkey. I like my picture. This monkey is named Lilg. The bird is named Milly. Lilg liked bananas and Milly likes bird food. I drew them from a book. Check out the rest of the artwork in our Artsonia exhibit! Nice lesson! I don't know what my problem is with leaf rubbings. I do other rubbings, but leaves, ugh. I've tried both real and fake and they seem to wiggle all over and we don't get defined shapes at all. But anyhow, this artwork and writing is terrific! Great story, i am really impressed to see the story and specially character names. too cute! What a wonderful lesson....can't wait to try this lesson with my 2nd graders! I did a project like this but in a different way in the past. It always seemed to be messy and uncontrollable when we did it. I tried your version out, and my students are doing really great! Thank you for the wonderful idea! I'm so glad it's working out!